To rise into the old blood in the northern kingdom is considered a sacred blessing. In the South, however, it’s punishable by death. There, at the edge of the great southern sea, an orphaned girl learns the secrets of her past as she discovers the creatures that will come to inhabit her own blood. Sent to protect her is the North's greatest soldier, who will be forced to use all she's learned as she sets herself against an ambitious king intent on ensnaring them both in his dangerous web. 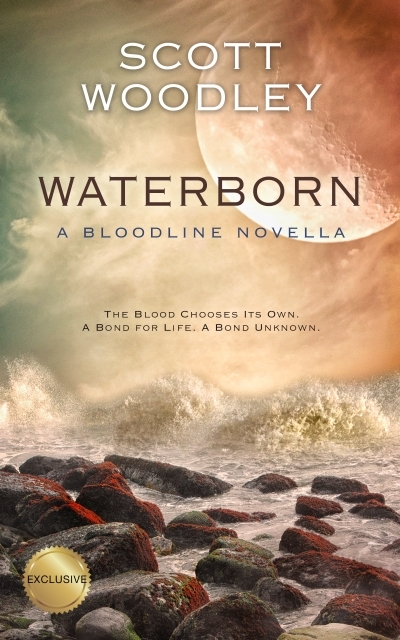 A fast-paced companion novella in the Bloodline epic fantasy series, Waterborn will appeal to readers of Terry Brooks, Jeff Wheeler, Patrick Rothfuss, and Sarah J. Maas.